Also June is busy with PhD defenses. On June 8th, Lars-Henrik Larsen from Akvaplan-niva defended his thesis: ‘Navigare necesse est’. Bio Environmental implications of shipping in the European Arctic. Congratulations! Read more about it here. 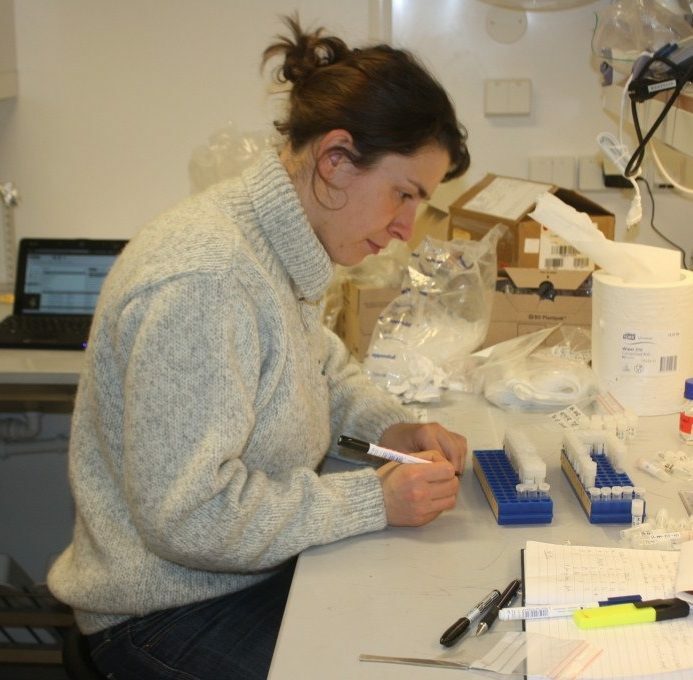 On June 22nd at 10:15, Ireen Vieweg will give her trial lecture: ‘The sensitivity of Arctic fish species to oil and contaminant exposure: the influence of route, timing and exposure duration’ in the big auditorium at NFH, UiT, Tromsø. She will defend her thesis: ‘Biological effects of dietary crude oil on polar cod (Boreogadus saida)‘ at the same day at 12:15, same place. Contact arctos@bfe.uit.no if you would like to join remotely. Ireen has been investigating the effects of dietary crude oil exposure on lipid homeostasis, reproduction, and the antioxidant defense system of adult polar cod. Crude oil affected lipid homeostasis and metabolism, but generally adult polar cod appear to be relatively robust to low levels of dietary crude oil as no clear alterations were found in reproduction, gonadal maturation and the antioxidant defense system. 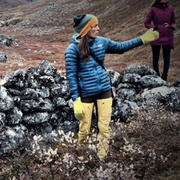 On June 27th at 13:00 (UTC-02), Ann Eileen Lennert will defend her thesis: ‘A Millennium of Changing Environments in the Godthåbsfjord, West Greenland – Bridging cultures of knowledge’ at the University of Greenland, Nuuk. The defense will be streamed life here. Note the time difference! In Norway it is four hours later (17:00). In her thesis Ann Eileen ‘aims to understand the environments in change through the eyes of the cultural landscapes, local knowledge and archives, and together with marine geological history depositions and data, reconstruct these lived environments with changing ice patterns, resources and changing human-environment relations in the Godthåbsfjord system’. Read more about it in her blog.